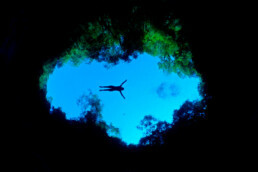 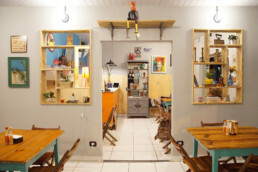 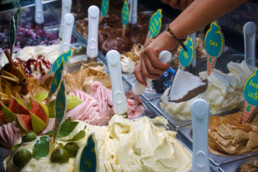 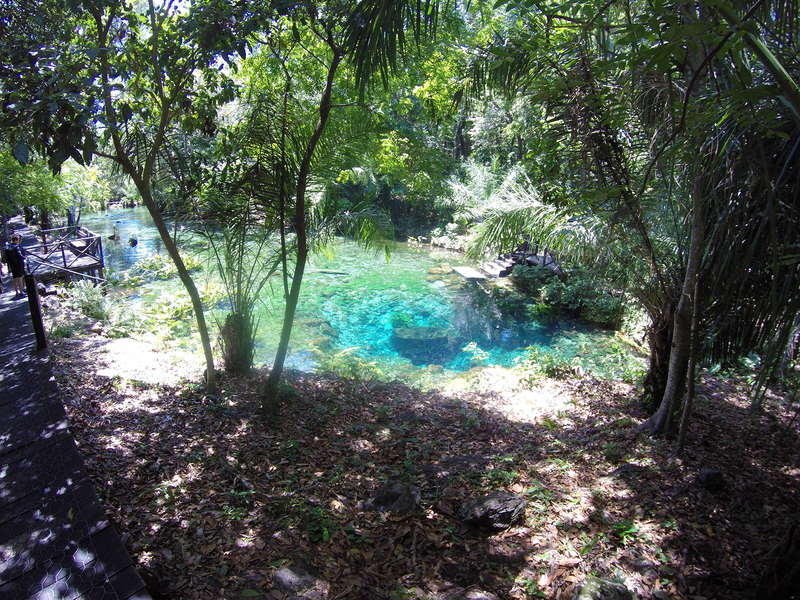 It is hard to believe that Nascente Azul, meaning Blue Spring, wasn’t open to public until 2012. 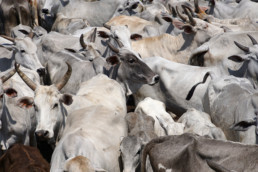 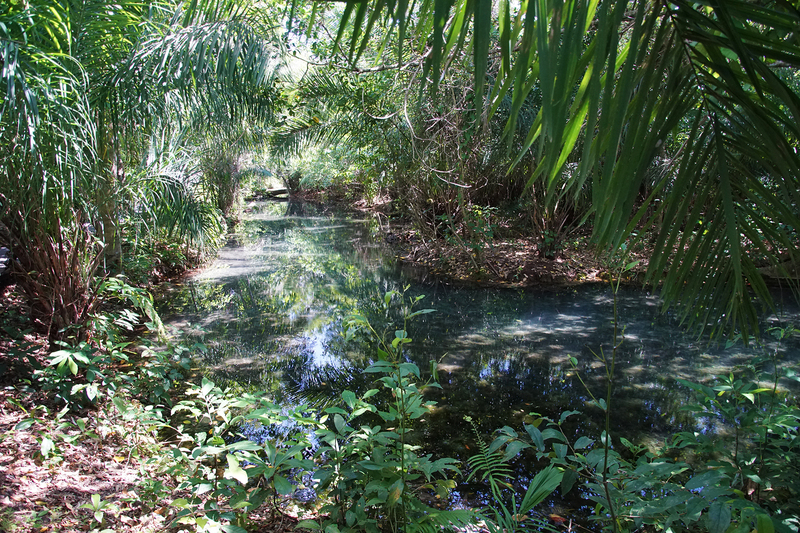 It was established out of a dream of recovering a totally degraded land, once intended for cattle and fish breeding. 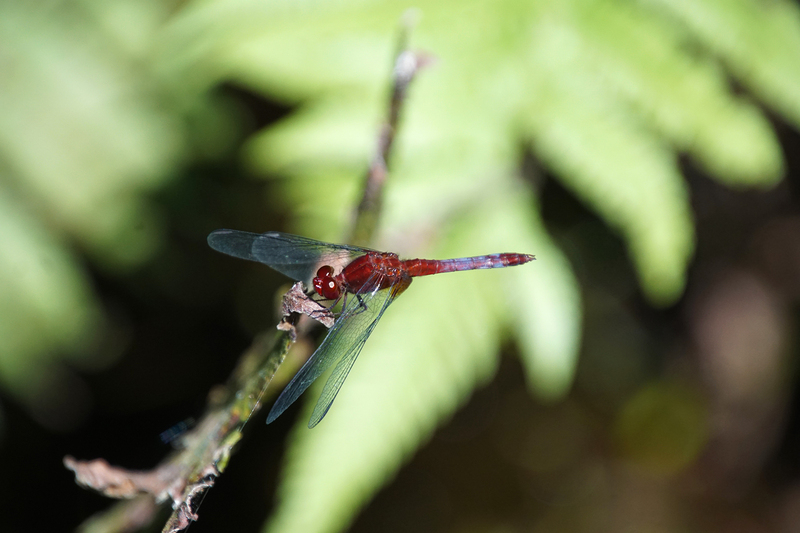 Four years of study and hard work led to the opening of this stunning natural attraction, abundant in wildlife. 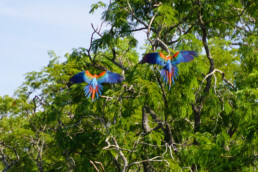 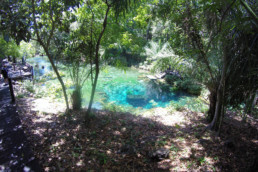 When joining this tour, you will start with a beautiful walking trail through the jungle. 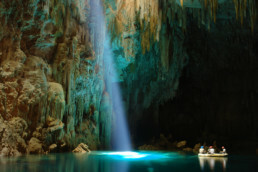 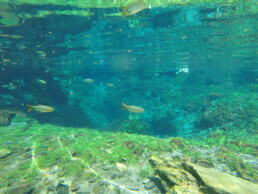 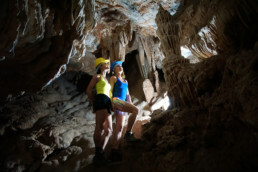 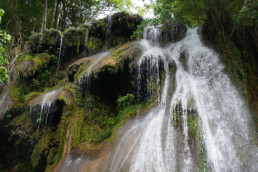 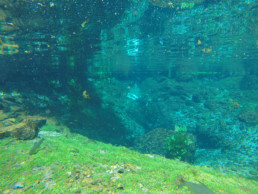 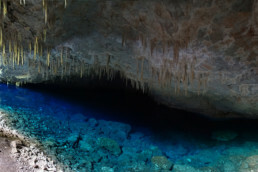 You will pass by the layered tufa waterfall and will walk along the stunning Rio Bonito, where you will snorkel later. 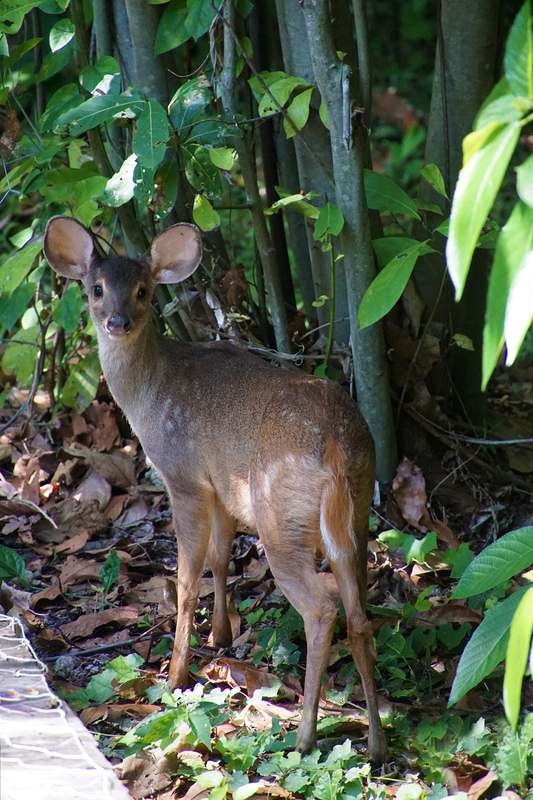 Along the trail you have a good chance of seeing some wildlife. 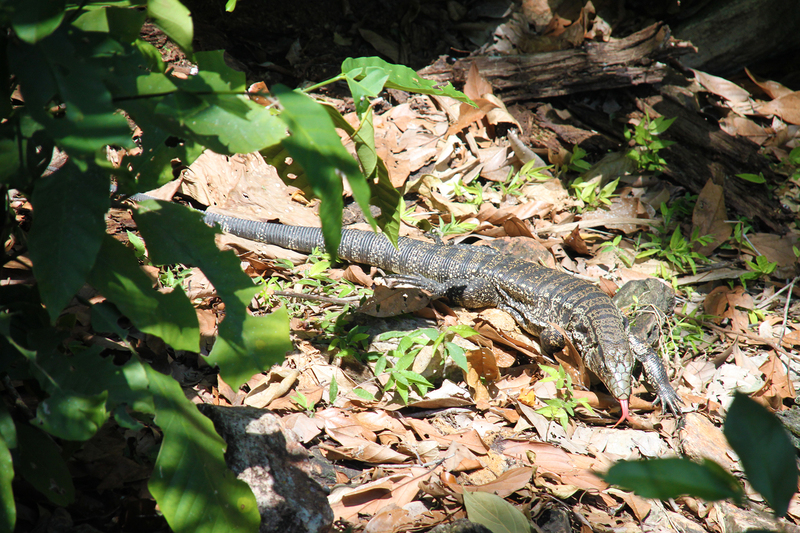 We were lucky to see some from up close; a young Marsh deer, a green vine snake (also called flatbread snake or oxybelis fulgidus) and a monitor lizard using its tongue to navigate, smell and find her prey. 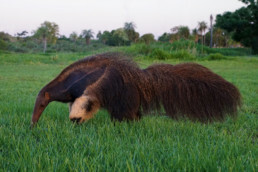 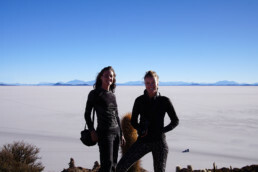 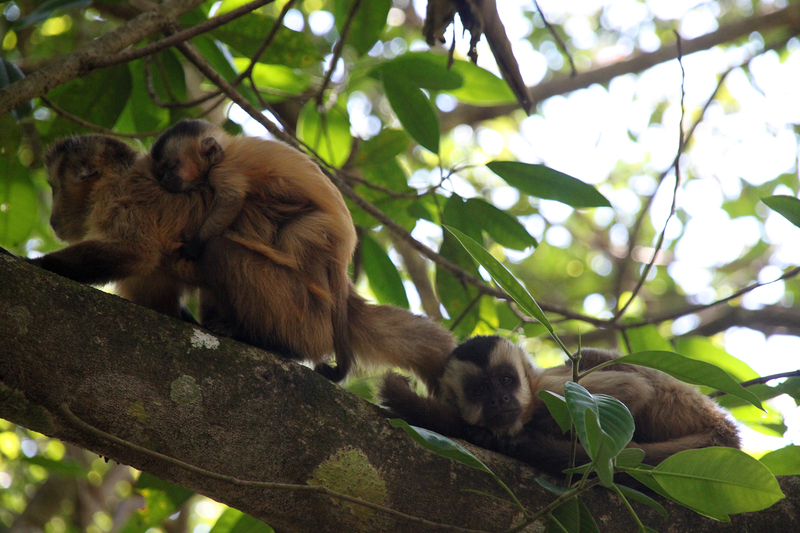 You might also get to see monkeys, raccoons, and less commonly anteaters and tapirs, too. 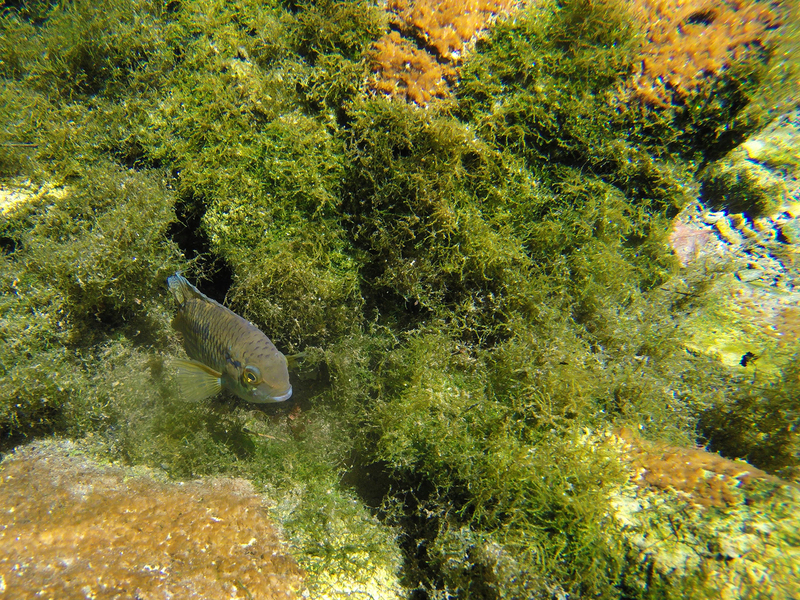 The water is so clear, that it is sometimes hard to see where the water surface is. 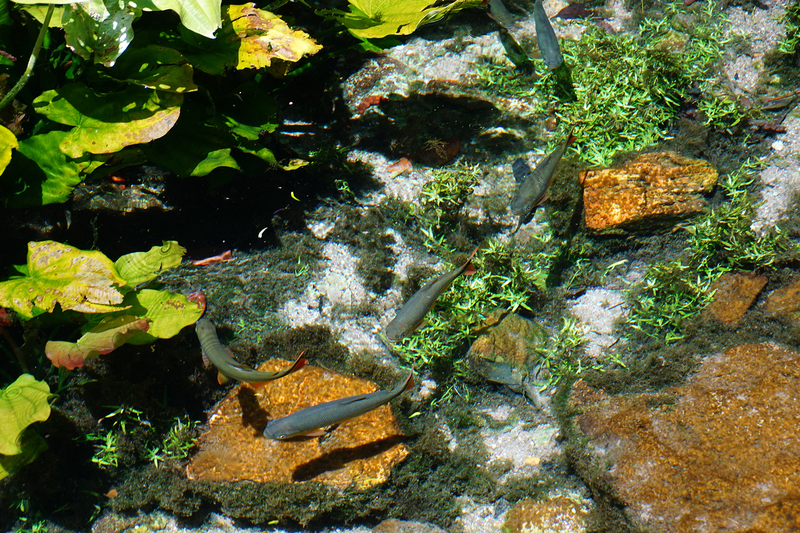 It is as if the fish are hovering in the air. 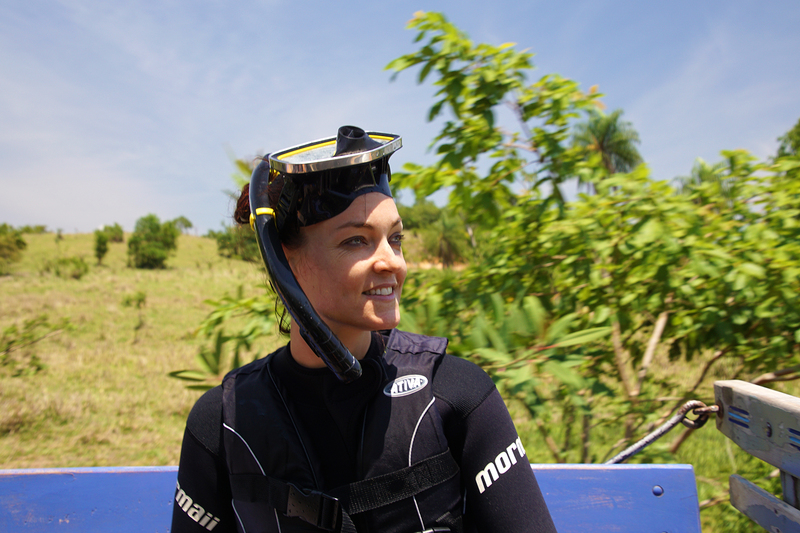 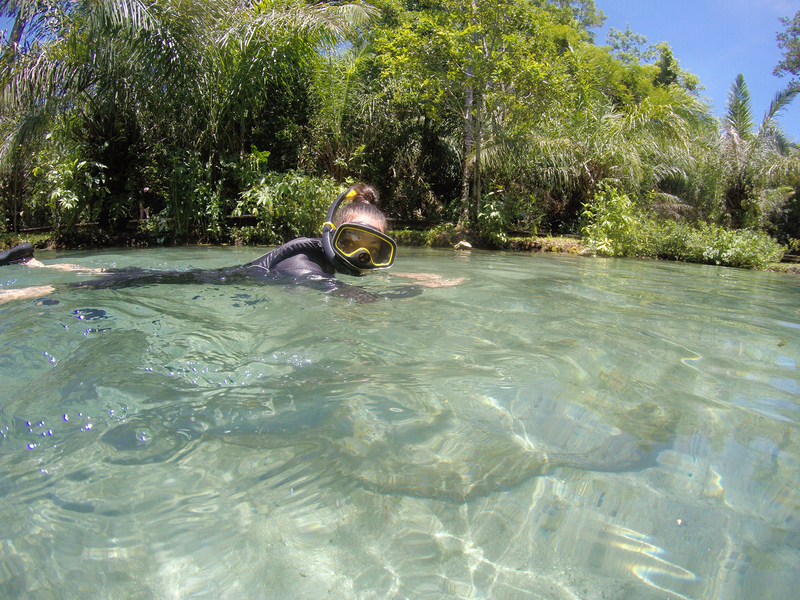 Even for advanced divers, like ourselves, the snorkel training session was a great pleasure because of it’s beautiful location! 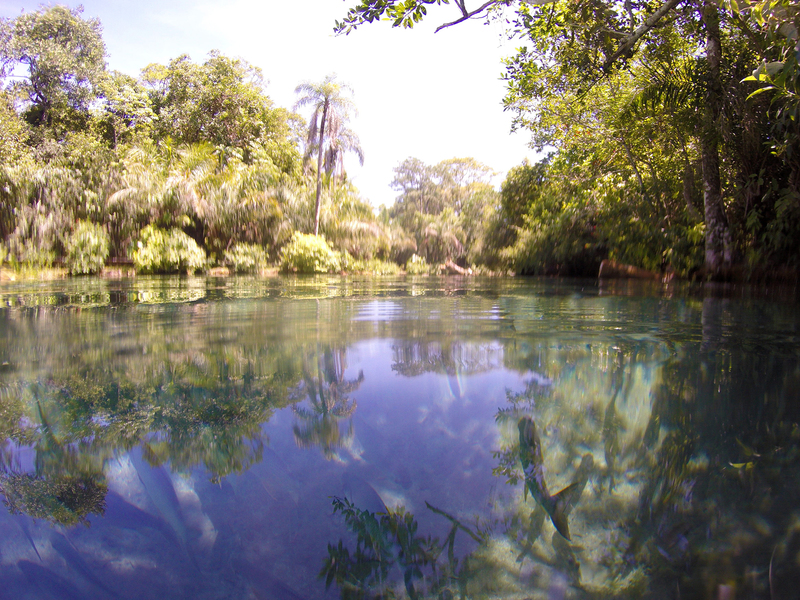 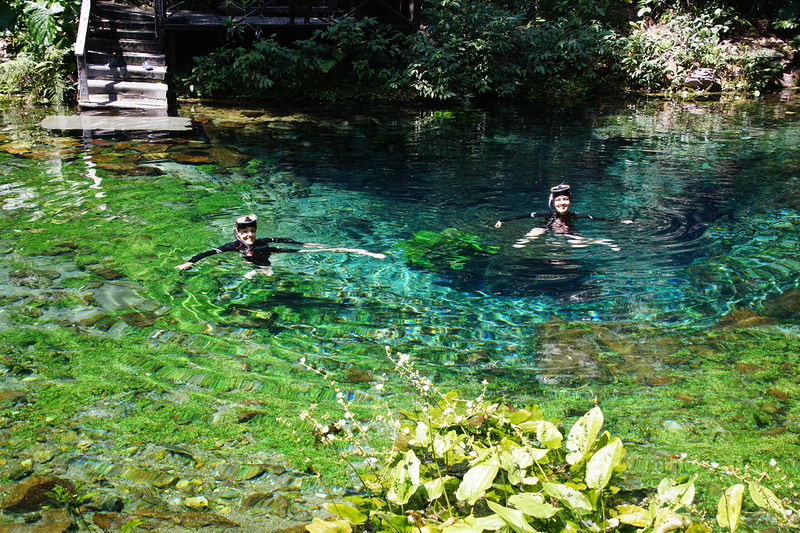 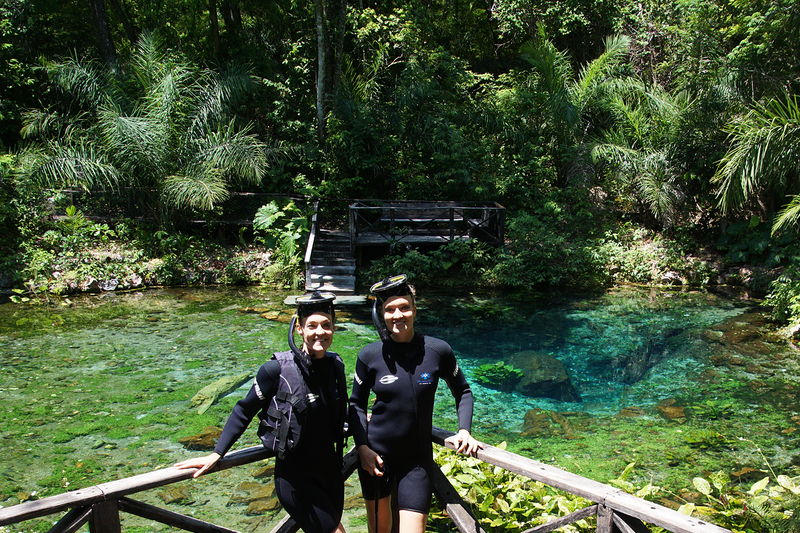 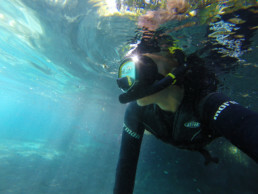 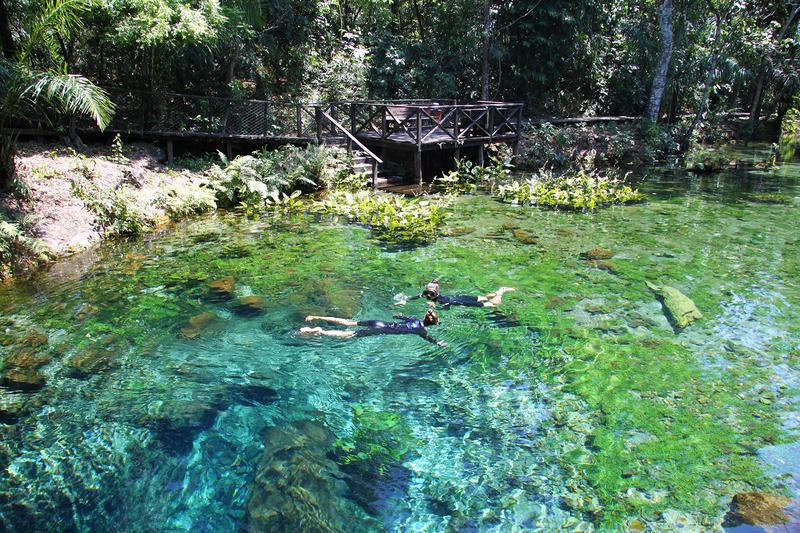 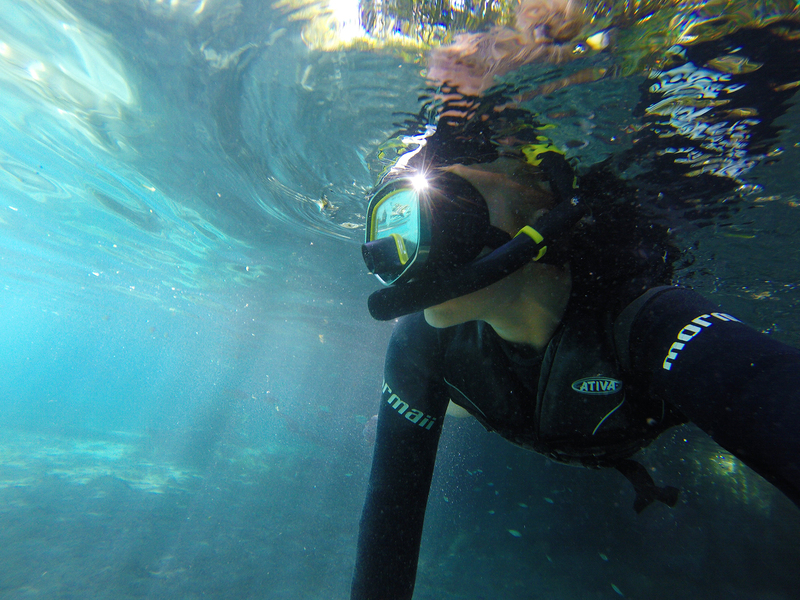 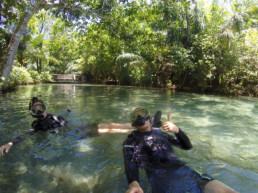 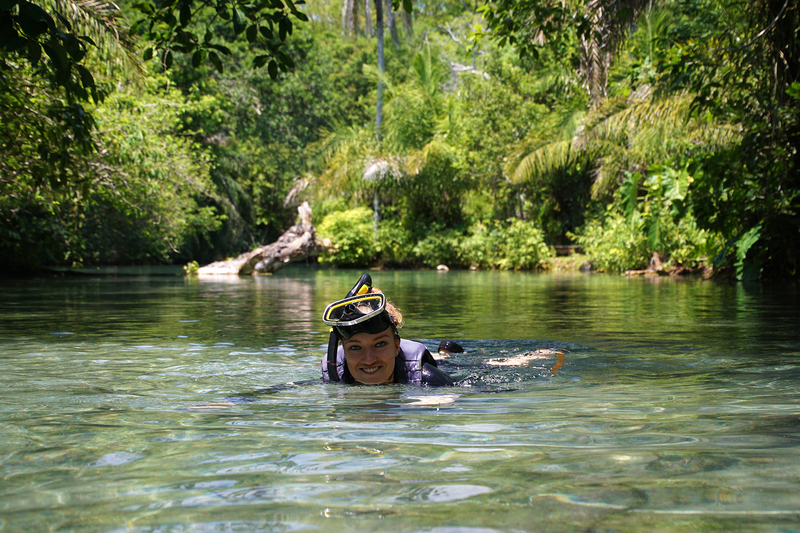 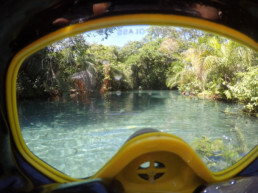 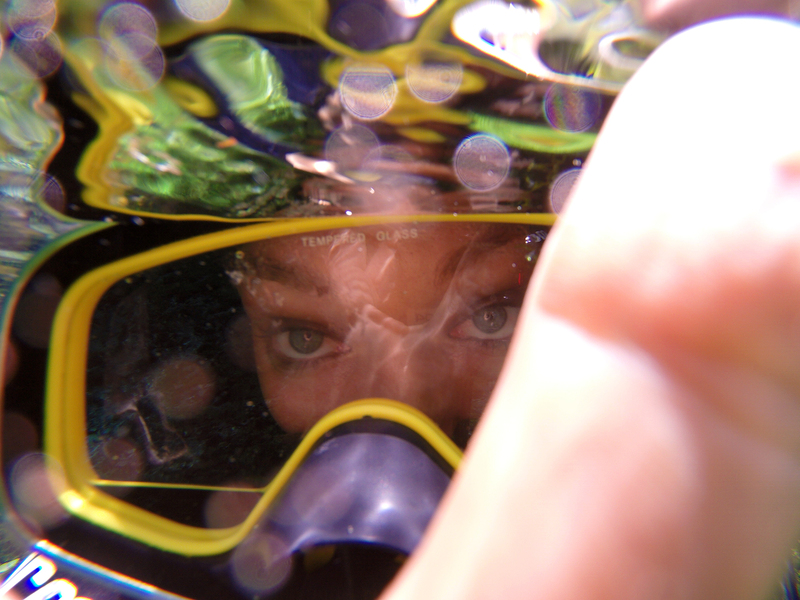 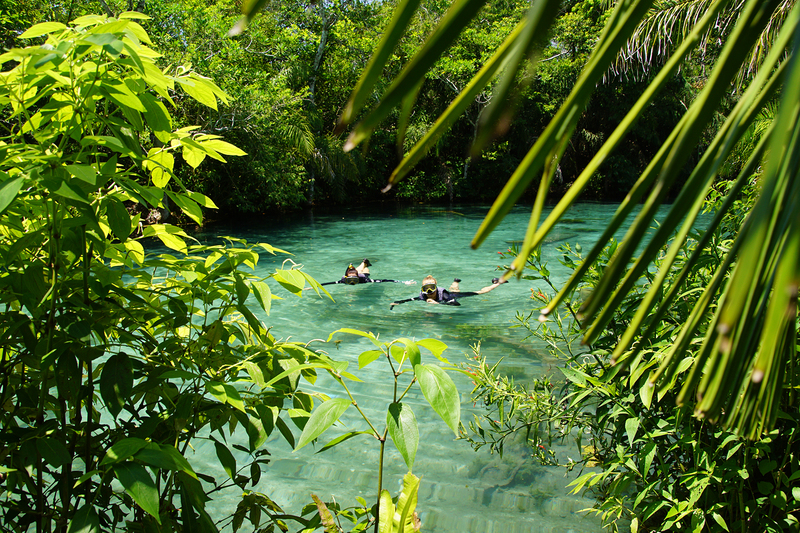 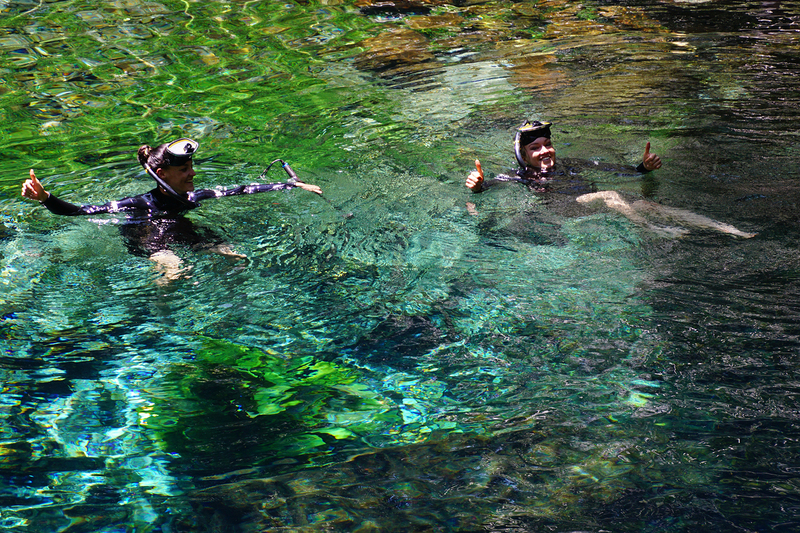 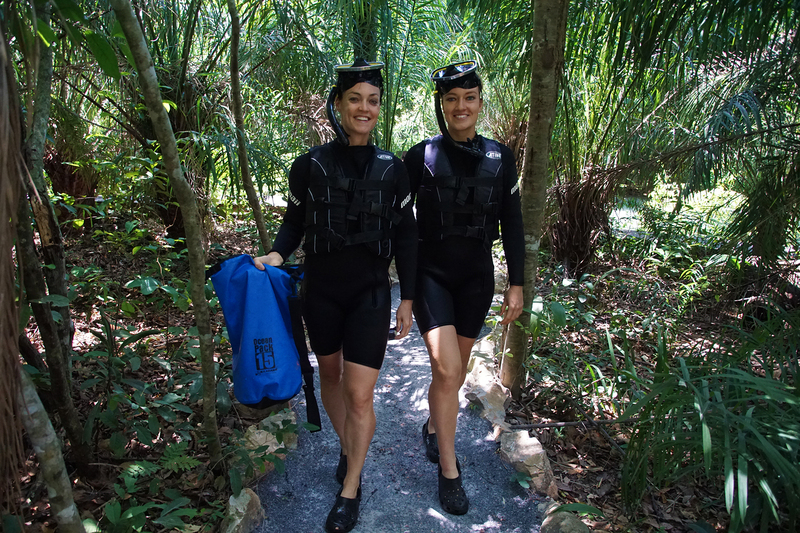 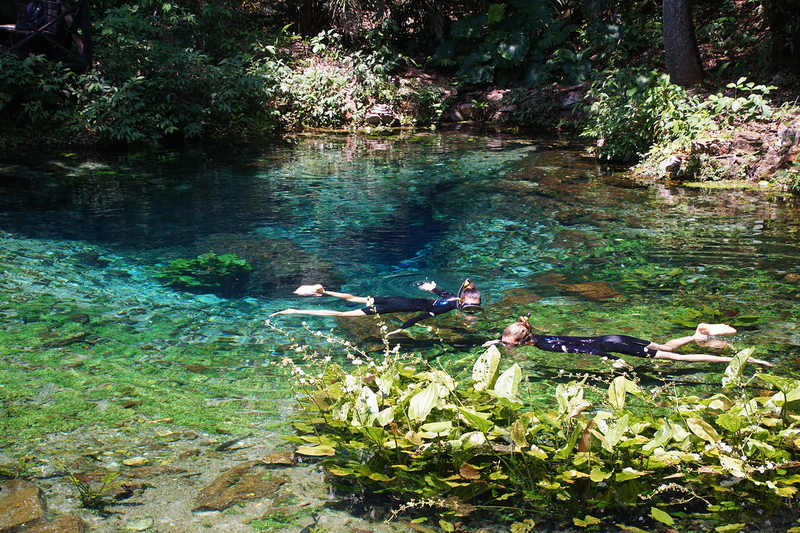 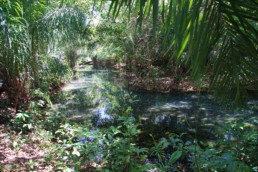 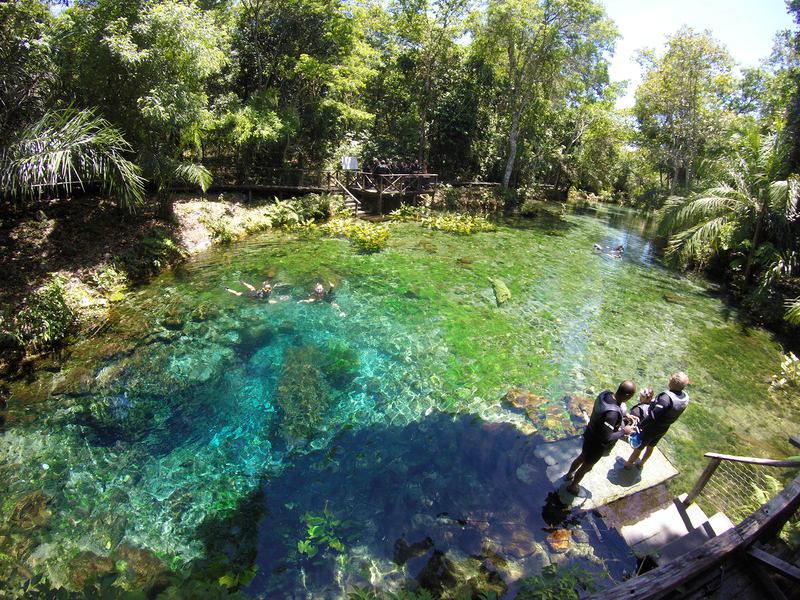 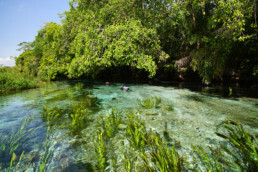 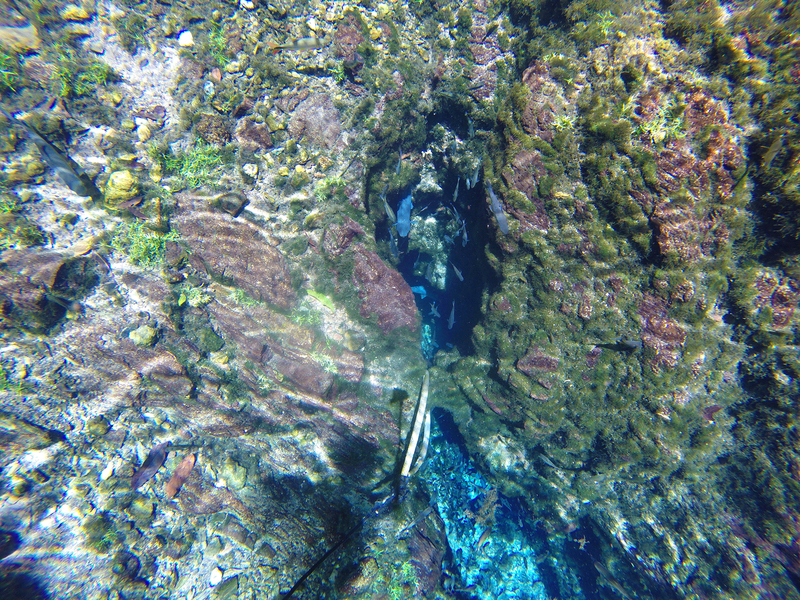 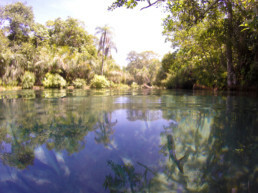 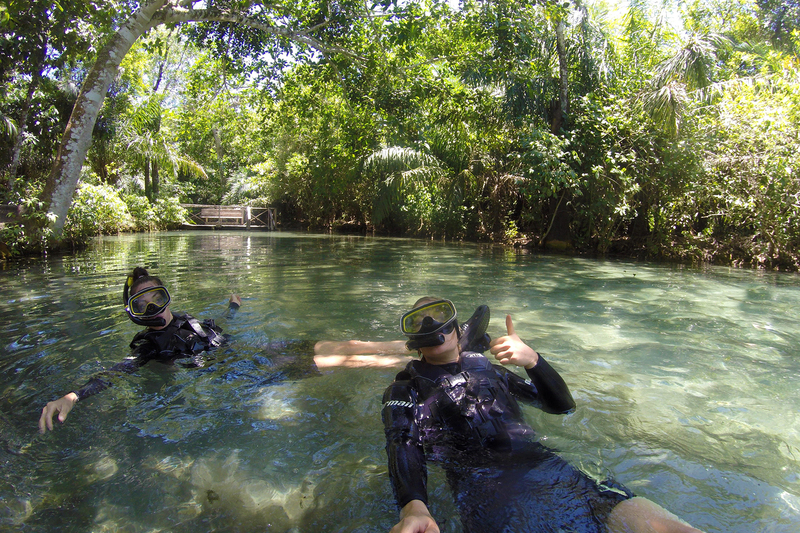 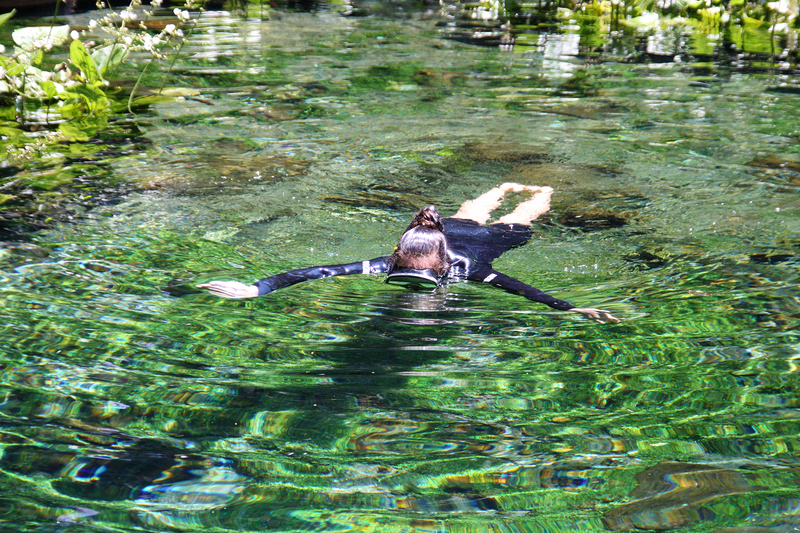 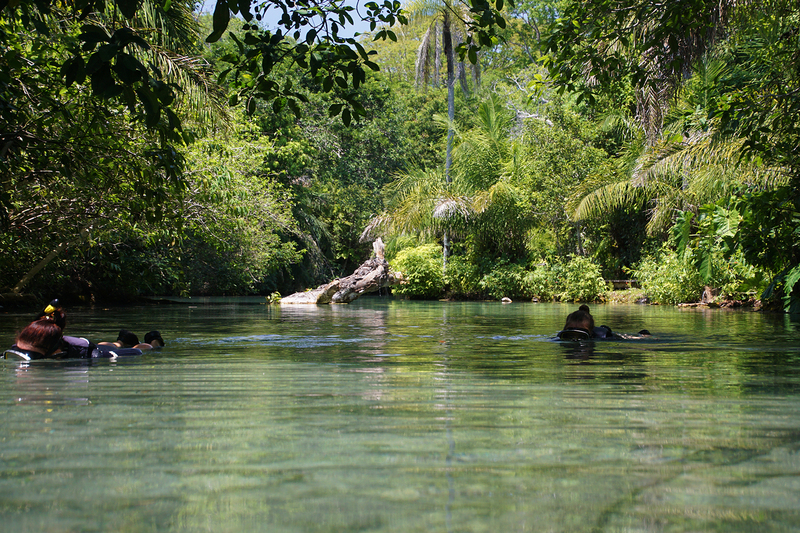 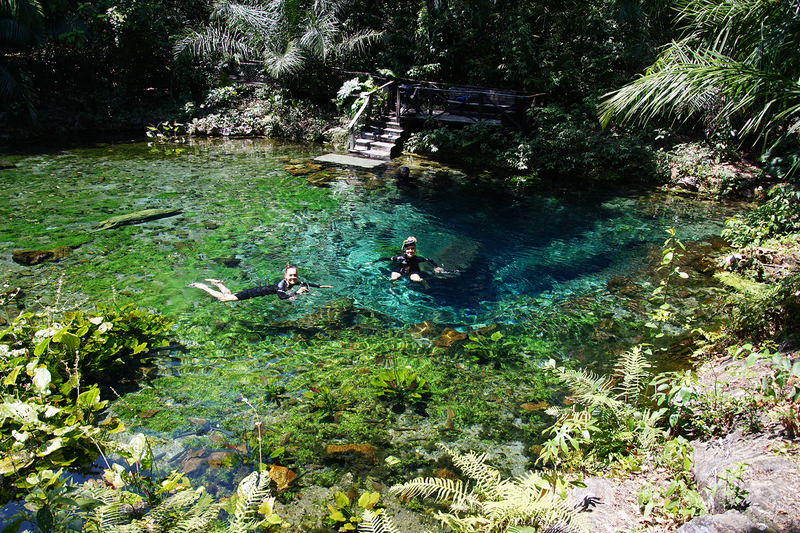 After a snorkel training along the river, you will start the real snorkelling at the blue spring itself. 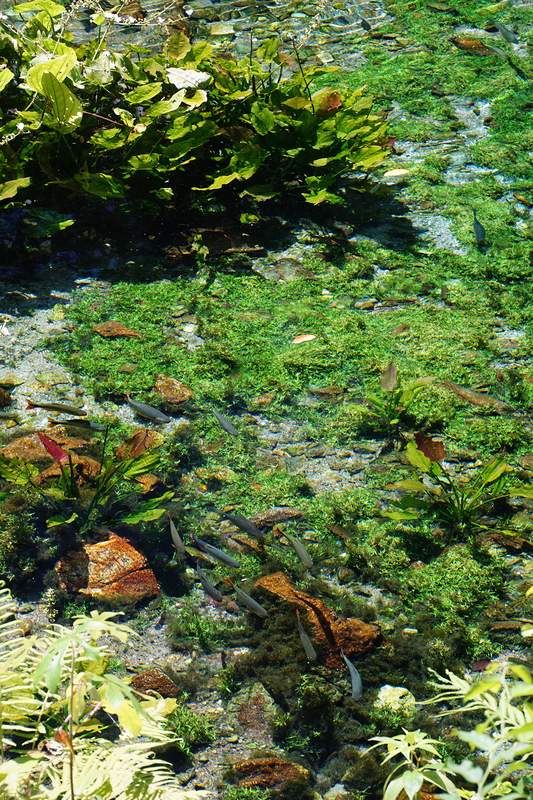 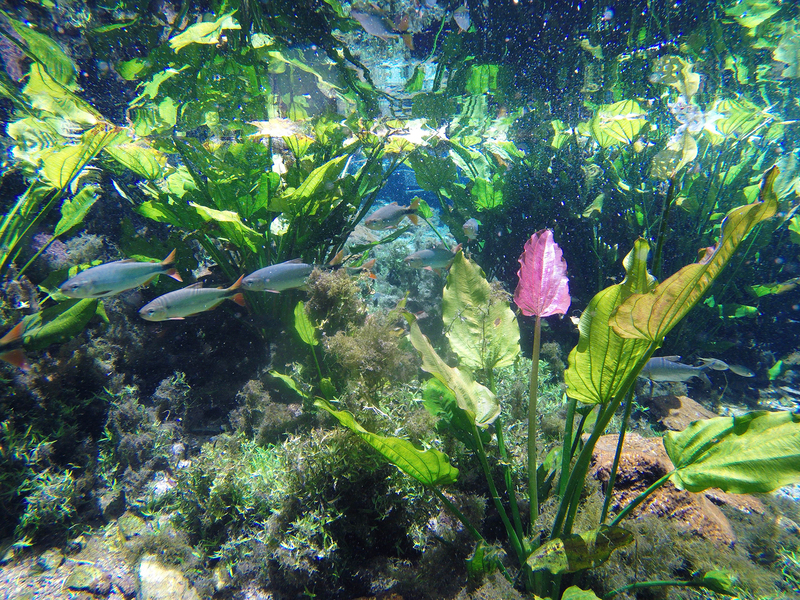 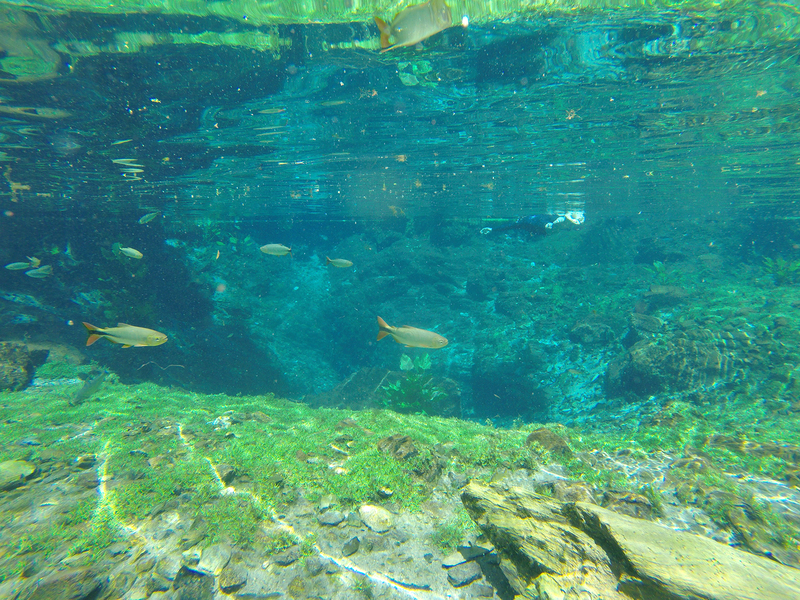 The spring is 7 meters deep and the deeper the silver fish are, the bluer they seem, due to the selective light filtering of the great amount of magnesium in the water. 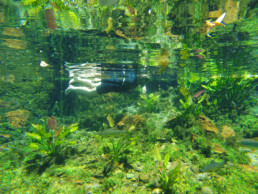 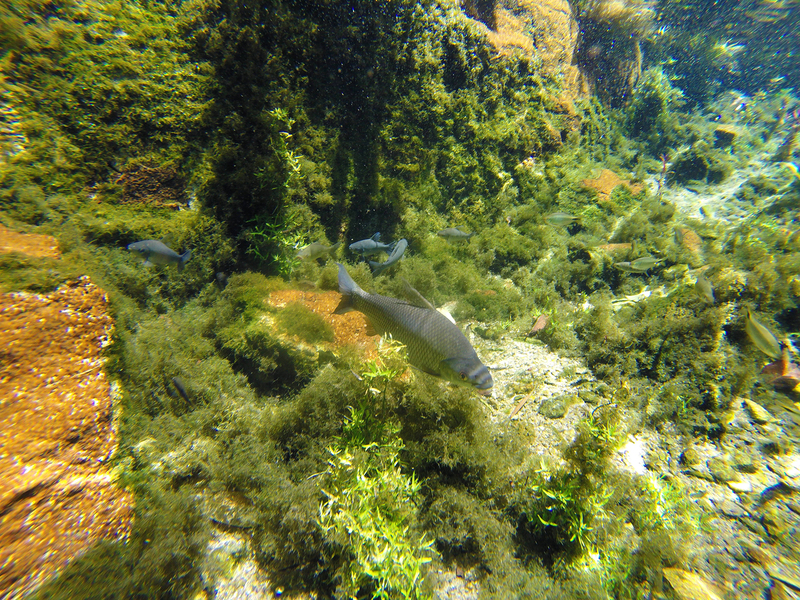 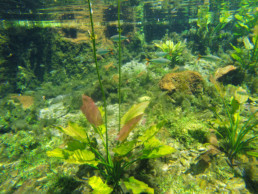 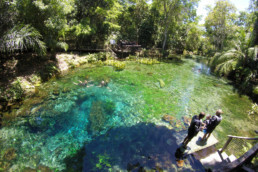 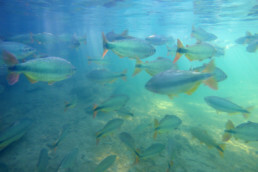 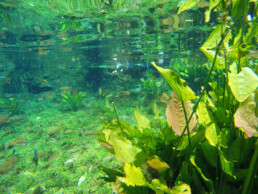 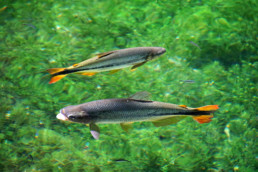 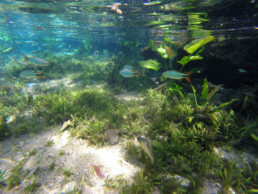 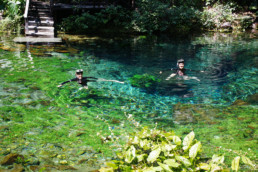 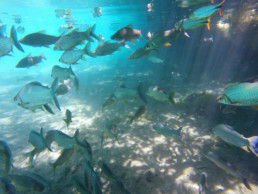 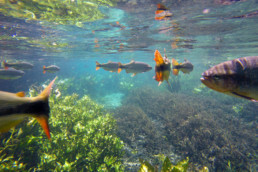 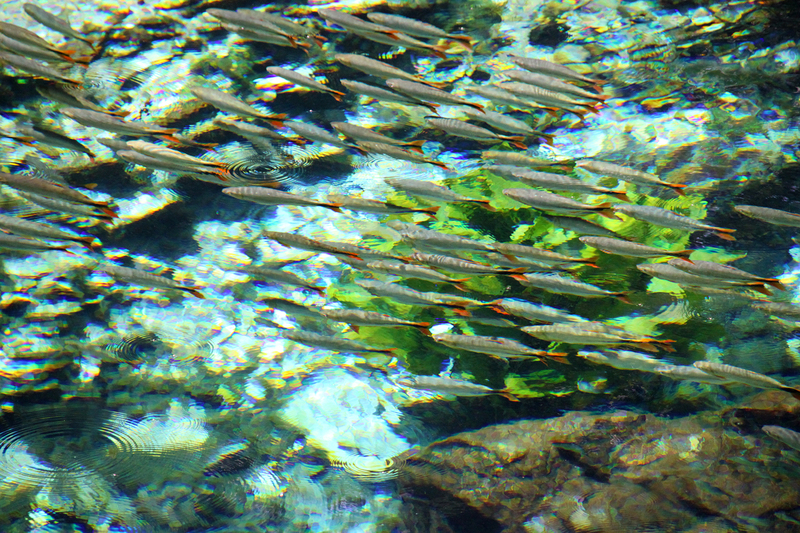 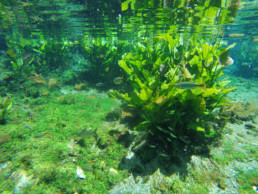 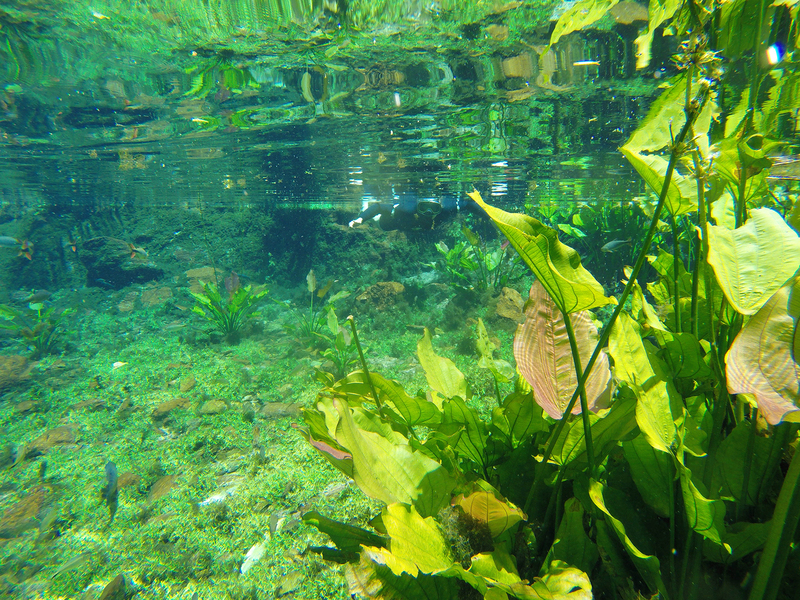 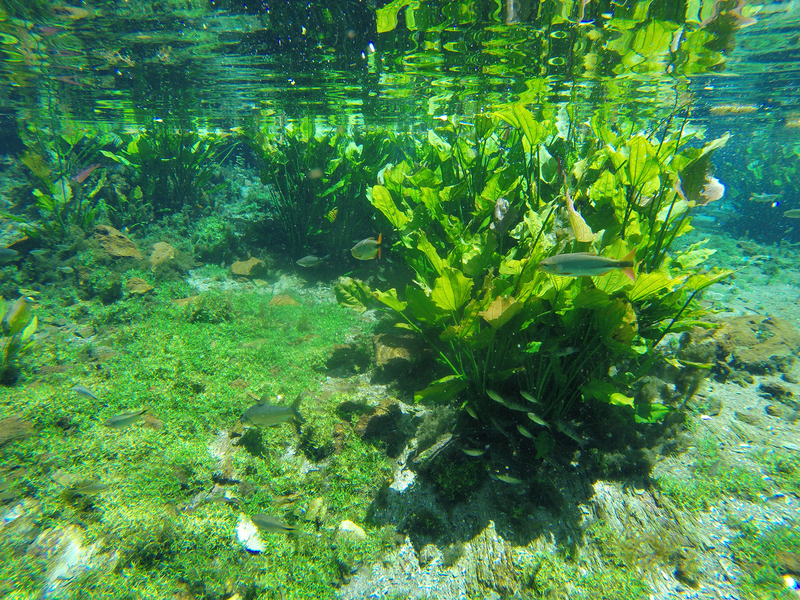 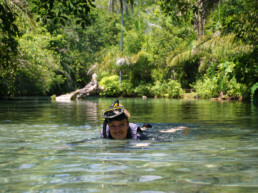 From the gorgeous spring, you continue the snorkelling tour downstream Rio Bonito, where you can see a great variety of aquatic plants and fish. 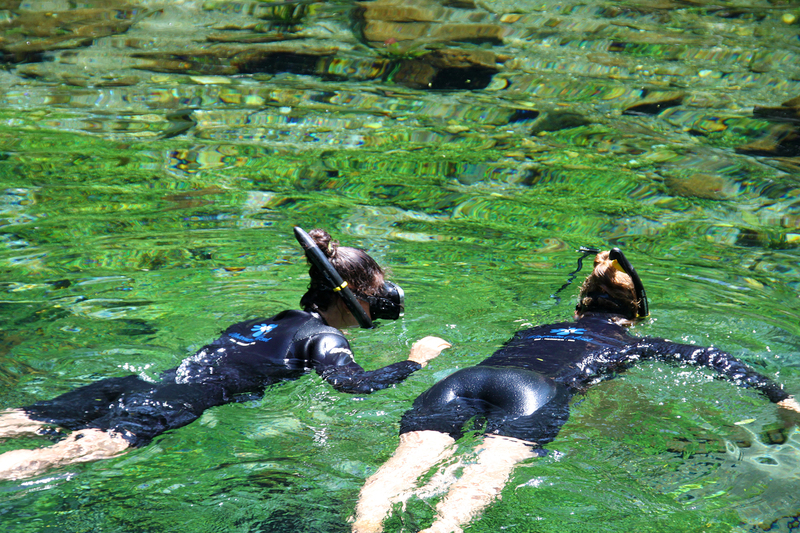 Once you get out of the water, an open pick-up will drive you back to the changing rooms. 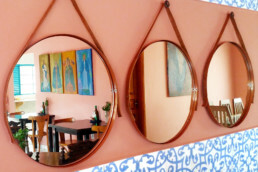 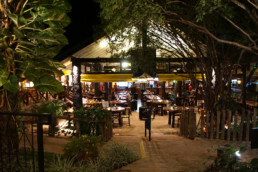 An optional tasty lunch will be awaiting you, with outdoor seating overlooking the Capela Lake with its many big fish. 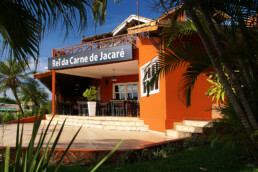 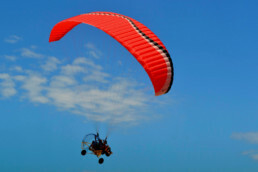 Your tour includes access to Capela Beach, where you can relax all day and enjoy many activities. 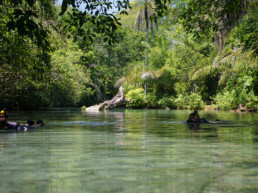 There’s a zip-line, bathing waterfall, beach volleyball field, playground, slack-line, another slack-bridge to balance on and there are kayaks available. 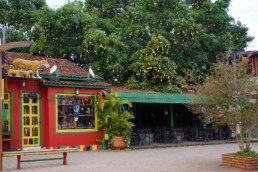 There’s music all day and the staff is very friendly. 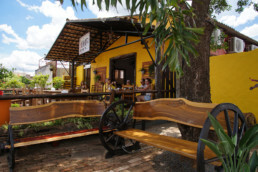 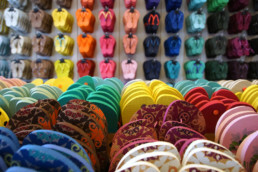 It is a great place to spend the day.